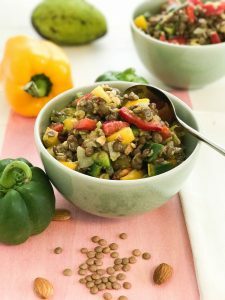 Brown Lentil Salad with Bell Pepper and Avocado recipe shared by Matt from Vegan.io. Use a big pot and boil the lentils in the water until soft for about 30 min. Preheat a skillet and add the olive oil, fry the onion for about 2-4 minutes until soft and golden brown. Use a medium size bowl and mix all the ingredients for the dressing. 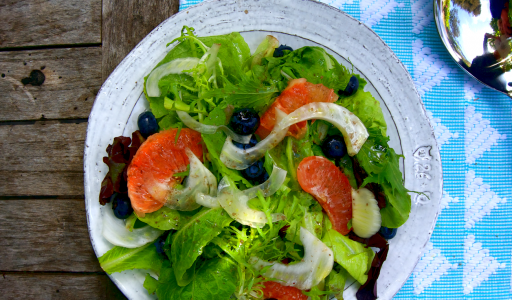 Use a big bowl to mix all the ingredients with the dressing, adjust taste before serving.